For the last 10 months the global automotive industry has been in a nosedive. 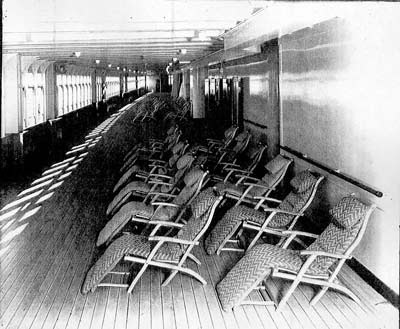 Interestingly throughout the hubbub, the crew of the greater OEM family has been working hard to rearrange the deckchairs while many of the rest of the hijacked passengers have looked on in amazement. I think that we are all supposed to believe that this reshuffling is a signal of value-added and refreshing change, but I would submit a different take. Let's recap the scorecard. Fiat has taken hold of Chrysler. But under the surface is there really any magic going on? Penske is trimming and hoping to wait out the storm, Magna cannot sell into the US, Fiat won't dare put any money into Chrysler, Tata must raise 1BN GBP before September, etc etc. and for what? If there are innovative plans going on under the surface of any of the mergers, those ideas are so distant and hidden that no one is privy to their impending attack on the status quo. 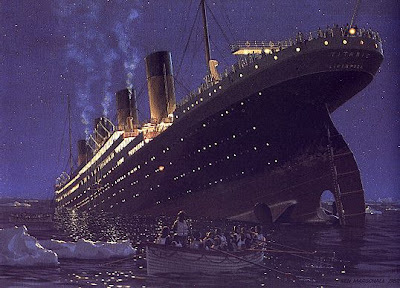 I sadly believe that inertia is at work, and we are idly watching as deckchairs are being rearranged in grim resignation with those farther aft holding a hand out to those closer to the water, only ignoring the fact that the whole ship is headed to Davey Jones. - Unsustainable US Oil end use. - Strategic dependency on foreign petroleum. - Global balance of power hinged on places like Russia, Venezuala, Nigeria, Iraq, Iran. - Petroleum based externalities (CO2, NOx, particulate emissions). To name a few, these disadvantages of the old-school car economy are gasps of a dying breath and harbingers of worse things to come. It is important to remember that there was a day when the status quo was made routine, before which customers searched for a new way of doing business. The "service station", the "dealership", the "OEM", the "Tier 1 supplier"... These were not preordained entities with some inalienable right to exist. By force of habit we permit them to ride on even if their original intended purpose is long gone from the executive summary of their pitch deck. 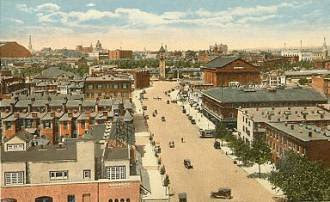 Just look at Baltimore in 1910. A population of 550,000 and yet there were 17 American Car Companies all doing business in the heart of the city! Seventeen. Hup, Lozier, Paige, Ford, REO, Pierce-Arrow, Poehlmann, Trumbull, Oldsmobile, Beehler & Ogden, Cacteccar, Marmon, Nash, Auburn, Maryland, Lambert, and Babcock. The industry was in explosion and many prized segments were up for grabs. Coachbuilders, bicycle factories, light machinery, home delivery, luxury purveyors, all were positioning to get into the limelight. The GM and Fords of the day were the Ohio Carriage Manufacturing Company run by H.C Phelps and the Durant-Dort Carriage Company of Willy Durant. In 100 years most of these names are a distant memory. If we had to start again, given the building blocks we have at hand? We probably would use many of the pieces that currently exist, but changing an owner and trying to rebuild the ship to look the same, is destined to fail. Think about personal transportation; where vehicles come from; and how they make it into your home and heart.